Tables There are 194 products. Carioca Table by Cattelan Italia has been designed by Andrea Lucatello. It is a table of great visual impact and catches the eye thanks to the shape of its base: three ellipses made of solid Canaletto walnut wood that intersect and give the surrounding space, whether dining room or sitting room, a modern and sophisticated style. 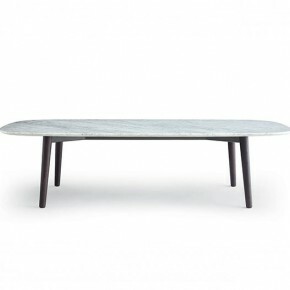 Daytona table by Cattelan Italia has been designed by Studio Kronos. 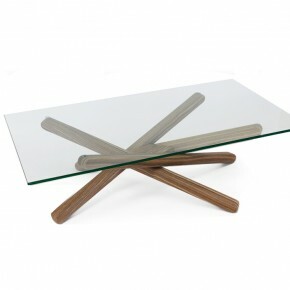 It is an extendable table with a rectangular crystal top, which makes it a really modern piece of furniture. Daytona turns your room into a really exclusive space. Its features are: linearity, tidiness and uniqueness. Eliot Drive table by Cattelan Italia is an extendable table characterized by a modern and dynamic design thanks to its base’s legs which give a sense of movement. 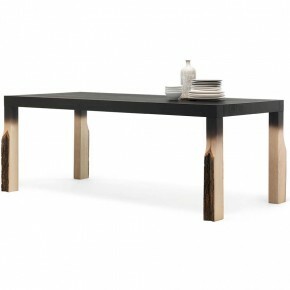 Also due to the quality of the construction materials, this table is a modern and precious piece of furniture. Therefore, linearity, uniqueness and beauty are Eliot Drive’s main features. Elvis table by Cattelan Italia has been designed by Alberto Danese. It has a simple and linear high-quality structure. Anti-fingerprint stainless steel and tempered crystal are the materials used, which make this table a stylish and functional piece of furniture. 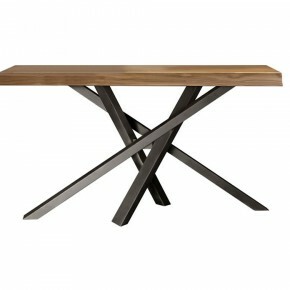 Elvis table is ideal for any space, kitchens or living areas. Elvis Wood table by Cattelan Italia has a simple and linear shape that gives it a touch of elegance and refinement, making it the ideal piece of furniture for any domestic space. Goblin table by Cattelan Italia is a mix of modern and classic design: the match of wood and crystal makes this table extremely refined and elegant. It fits perfectly every room of the house. 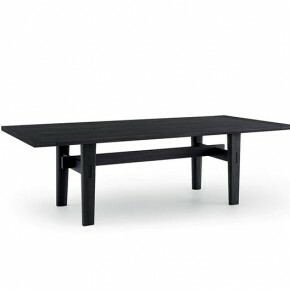 Goblin is a subtle but eye-catching table with beautiful and harmonious lines. Jerez table by Cattelan Italia, designed by Alberto Danese, is a modern-style table with a singular and elegant shape. It fits perfectly contemporary living rooms. The beam connecting the trestle's legs makes Jerez table's structure solid and of great visual impact. 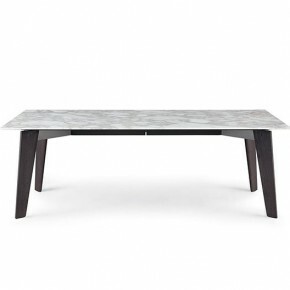 Monaco Drive by Cattelan Italia is an extendable and rectangular table. It gives the living area or the conference room a peculiar touch of elegance and refinement thanks to its simple shape and valuable building materials. The peculiarity of Ray table by Cattelan Italia is its base made of chrome steel tubular legs, directly electro-welded on the crystal surface. This is the key feature of Ray table, which makes it a symbol of modern design. Skorpio Round is a fixed table designed by Andrea Lucatello for Cattelan Italia. Its cool, elegant and modern design makes Skorpio the perfect piece of furniture for any space, since it provides a touch of creativity. The peculiarity of Skorpio Round is enhanced by a crystal top that creates a great visual impact. Valentino table by Cattelan Italia, designed by Emanuele Zenere, has been created to amaze: the combination between its materials and design is of great visual impact and makes Valentino the main and most refined protagonist of the surrounding space. Its geometric lines give a touch of lightness and simplicity. Viola d'Amore by Cattelan Italia, designed by Piero De Longhi, is a refined and elegant table for those who love both classic and contemporary style. 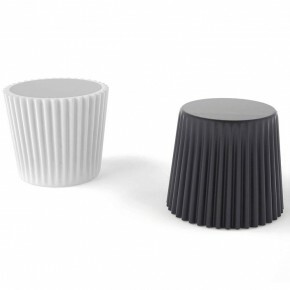 Its smooth lines, with no sharp edges, make Viola d’Amore a delicate table, suitable for all spaces. Thanks to the materials used, it becomes symbol of beauty and refinement. 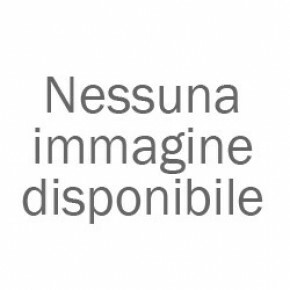 Doppler is an original small table designed by Giuseppe Viganò for Bonaldo. Suitable for contemporary living rooms, it is a true explosion of colours. The shape and the graphical patterns interplay create a unique optical effect. The Doppler tables can be combined according to your taste in the space of the living zone. Globe is a table by Cattelan, conceived by Giorgio Cattelan. It is very original and fits perfectly contemporary and modern environments. The polished steel sphere supports the transparent crystal surface, making it stable and sophisticated at the same time. 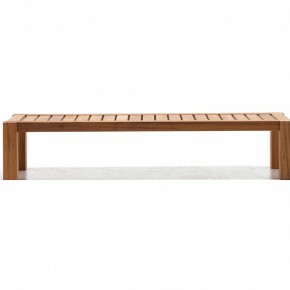 The Maui table is a very versatile furniture item that can stand alone or be combined with other accessories. It meets the needs of the everyday life, but also those of collective spaces. Generated from the mind of Vico Magistretti, Maui is a linear and refined table, particularly suited for bars, restaurants, dining rooms, kitchens and even offices.